Whether building a new home from the ground up or remodeling the house of your dreams, access to high-quality flooring options is essential. At Houston Custom Carpets, our professional team has extensive experience with high-quality flooring services and a reputation for getting the job done the right way. From the entryway to the kitchen, the living room to the bedroom, high-quality flooring adds a layer of comfort and beauty to every square foot of your home. We offer custom services for the installation of new flooring. We’re proud to offer a wide range of high quality flooring services. If you have a flooring project and are wondering if we can help you through it, just ask! Our team can help you with just about any flooring need and discuss the pros and cons of different options. We will help you measure and install new floor coverings for your new or existing home. We offer a number of different materials and products. Installation by our professionals will help ensure your new flooring looks its best, and it will save you a lot of time and stress. ● Carpet: From low to high-pile options, we can help you choose the perfect carpet for your living room, bedroom, or any other room you have in mind. Our installers take care to lay the carpet flat and avoid the pulling and bunching that can sometimes occur. Need your current carpet pulled tight in a few areas? We can help with that too. 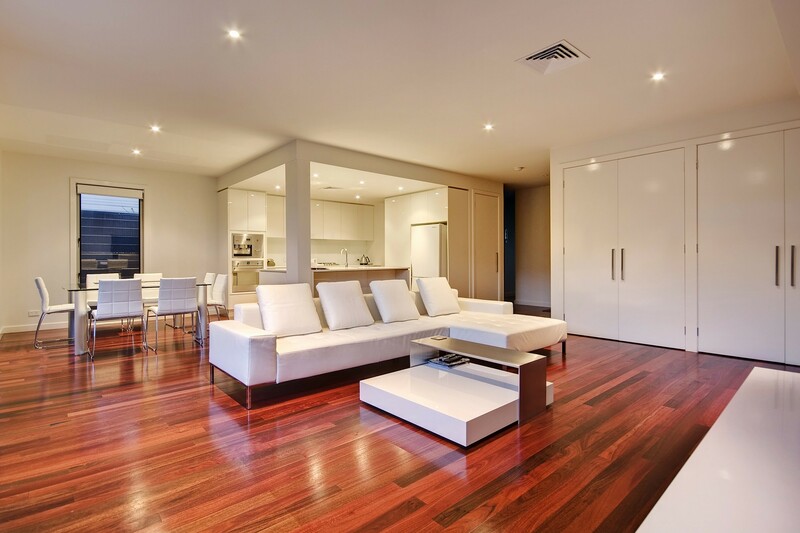 ● Hardwood: Wood floors add a gorgeous look that is both classic and modern. We carry a variety of engineered and natural materials to choose from. On top of that, we’ll take care of the cutting and placement of each board, so all you need to do is sit back, relax, and enjoy your lovely new high-quality floors. ● Laminate: Laminate floors offer the beautiful look of a hardwood floor at a fraction of the price. This is a beautiful alternative option for those who want the look of a wood floor but also need to stick to a budget. We offer a wide range of options, so you can find laminate products in just about any look you desire. ● Tile: Another classic-yet-modern flooring option is tile. Stick with solid colors or go with something ornate; either way, tile adds beauty that may also increase the value of your home, as does hardwood. The floor is one of the very first things the people in your home notice. It helps set the foundation, mood and ambiance of the house. Our professional installers at Houston Custom Carpets will help ensure your flooring matches your vision, no matter if you are in the middle of constructing a new home or looking to remodel the one you live in. Be sure to check out our current special offers, and contact us to learn more about our high-quality flooring services.